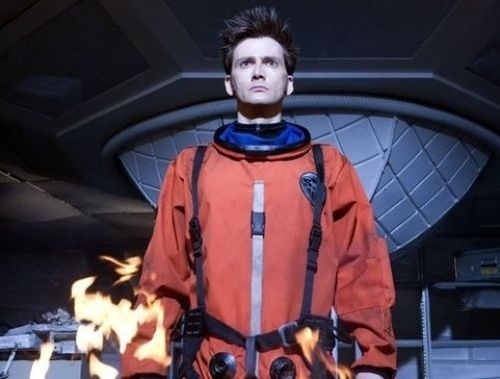 I am waiting until I see the whole of “The End of Time” to comment extensively on David Tennant’s swan song as the 10th Doctor on DOCTOR WHO, but I did want to note that I enjoyed Part 1, which contained some of Tennant’s very finest work ever. I was disappointed, however, to see the Master played so completely for camp. Sure, Anthony Ainley was always over-the-top, and maybe it’s just the Old Fan in me who cannot accept that the dark menace of the Roger Delgado incarnation is long gone, but I think John Simm is totally capable of being just as menacing as the Third Doctor’s nemesis. I’m hoping Part 2 finds the Master being Evil while his army of duplicates handles the comedy. Up in the Air is about bringing people crashing down to Earth. Or, at least one Ryan Bingham, corporate-hatchet-man-for-hire. George Clooney plays Ryan, a man who spends over 320 days a year flying across the country, firing employees for employers who are too timid to do it themselves. And in this horrible economy, Ryan’s business is booming. He does his best to put a human face on his dirty job – treating the employees he fires like people instead of casualties on a stat sheet. And the only thing Ryan loves more than his job is the traveling that his job allows him to do. As Ryan puts it himself, he loves the recycled air and impersonal treatment; he revels in bypassing long lines, swiping his courtesy cards and every dehumanizing aspect of travel. The “road” is “home” for Ryan, who would rather be anywhere else than his actual home base, a soulless motel room in Omaha, Neb., that is almost literally empty. Ryan travels light, both literally and figuratively: He doesn’t weigh himself down with checked luggage or baggage of the human kind. He has a wheeled carry-on and relationships with no strings attached. Ryan’s routine is disrupted by two women: Alex (Vera Farmiga), a sort of female version of himself, and Natalie (Anna Kendrick), a rising star at his employment-consultant firm who might have been him years ago and has a few ideas that could mean firing some of the guys who make their living firing people. Both of these women force Ryan – the rambling man – to contemplate where he’s been… and where he’s going (if anywhere). Go Klaatu barada nikto yourself! This movie could have been called The Day the Earth Still…Out of Boredom. The 2008 version of The Day the Earth Stood Still is a classic example of a “why bother?” remake. The 1951 original is widely regarded as one of the best science-fiction films ever made, so there was absolutely nowhere for a remake to go but down. And the remakers lived down to expectations. In both versions, an alien spacecraft lands on Earth with a message for the natives. In the original, Klaatu (Michael Rennie) warned that the warlike human race needed to change its ways since learning to split the atom or risk annihilation by extraterrestrial enforcers worried about mankind’s rambunctiousness. 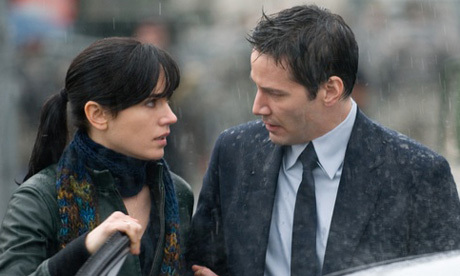 In the 2008 version, Klaatu (Keanu Reeves) was apparently intent on informing our world’s leaders that the human race is a pox upon the Earth, and since only a handful of planets in the cosmos are capable of supporting complex life, the interstellar community is unwilling to let mankind squander this one. According to director Scott Derrickson, this film is supposed to carry an environmental message, but Klaatu himself points out that Earth has reached the tipping point and can no longer be saved, so even if everyone started driving hybrids, it would do no good. So apparently the message is, go green now, before the aliens get here. However, in the movie, the plot change renders Klaatu entirely moot. Surely his glowing globes could have been dispatched to collect and preserve samples of non-human life without cloning Keanu? Surely Gort could have been activated from orbit to eliminate all traces of humanity. Klaatu is a complete waste of time and effort. Klaatu came to protect the Earth from humanity, so why bother with trying to address mankind’s leaders? Is he some kind of interstellar sadist? When my nephew wanted to see Avatar, his father insisted on the 2D version, so I went along to get the “whole picture,” so to speak. My brother was concerned that the “3D stuff” would be a distraction. 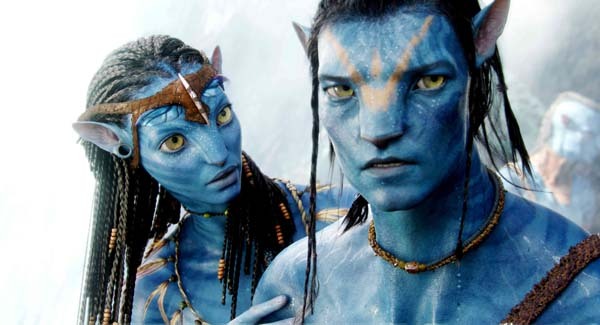 Having seen both incarnations of Avatar (See my review here), I can unequivocally declare the 3D version superior. In 3D, the movie is a much more immersive experience. Not only do foreground elements appear to be right in your lap and the peripheral images almost beside you, but everything on the screen seems to exist on its own plane. Most impressively for me, the backgrounds appear to be really far away. I think that is what I noticed most – forget stuff flying at your face; the jungle canopy looked like it was miles and miles deep into the screen. The heads-up displays used with a lot of the military tech hovered in space before the operators in the 3D version; in 2D, everything was flat, and techies labored behind green-glowing screens. While Sully was lost in the forest of Pandora, the 3D wildlife moved around among the trees; in 2D, they hid behind flat barriers. Writer/director James Cameron not only shot the film in 3D, he designed it for 3D. That’s why the colorful jungle seems so animated. That’s why he doesn’t feel the need to make characters throw stuff at the audience every 90 seconds. The 3D-effects are not mere gimmicks in a movie; they are the movie. If you have the choice, see Avatar in 3D. If you see it in two dimensions, go back and experience it the way Cameron intended. Avatar is a much deeper film in 3D. WoM is serious business. It’s packed with action, smothered in melancholy, and tinged with regret. The opening sequence is highly ironic, because the Doctor tells the scientists that he is on the red planet for “fun.” But the wind is taken out of his sails not by the whisper-thin atmosphere but by the realization that he is addressing the pioneers of Bowie Base One, the first human colony on Mars; a colony that mysteriously self-destructed on Nov. 21, 2059 – the very day of his arrival. The Doctor understands that the loss of the colony with all hands is important to the advancement of the human race. 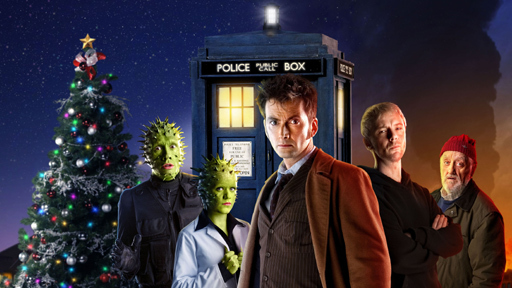 The terrible event represents a “fixed moment in time,” and thus he is forbidden to interfere because, “What happens here must always happen.” So the Doctor faces a decision: turn his back and preserve the timeline by letting everyone die, or interfere and let the “wibbly-wobbly, timey-wimey stuff” fall where it may. Needless to say, the Doctor dabbles… and things go downhill from there. Or, story-wise, uphill. WoM is a cracking good adventure yarn, up there with the best of show-runner Russell T Davies‘ work. It mixes big ideas with small moments, using the Doctor as connective tissue. He may have been traveling solo when this tale began, but he is at heart a people person, and the gregarious Time Lord instantly bonds with the motley crew of scientists, led by the brilliant and gutsy Adelaide (Lindsay Duncan). The Doctor makes his deepest connection with her, as she is quite literally a lynchpin of human history. Adelaide’s tragic death on Mars inspires her granddaughter to lead mankind to the stars; the Doctor is afraid of altering that paradigm, yet hesitant to simply let her die. As a sort of compensation, he tells Adelaide what her death will ultimately mean, and his speech is as eloquent and moving as the 10th persona has ever been, and David Tennant is positively stellar as the conflicted Time Lord. “Your death creates the future,” he whispers to her, his eyes filled with sadness. Writer/director James Cameron’s first film since the blockbuster Titanic is another big-budget widescreen epic — but Avatar is like nothing you have ever seen before. It is a space opera, but on a much grander scale than ever before attempted. Set on the physics-defying jungle world of Pandora, the movie stars Sam Worthington (Marcus, Terminator: Salvation) as Jake Sully, a paraplegic Marine recruited for a science project that projects human minds into cloned bodies that mix human DNA with genetic material from the Na’vi, a race of 10-foot-tall blue, cat-like people who inhabit Pandora. A sociology team is studying Na’vi, while a military-industrial conglomeration is mining the world for a valuable mineral (an obvious McGuffin with the unlikely name Unobtianium). Jake is also recruited by Colonel Quaritch (Stephen Lang) to gather intel on the Na’vi in case the military ever needs to take action. Jake does his job — for Dr. Augustine’s science team and Quaritch – but perhaps a little too well. More than merely learning from the Na’vi, he goes native. And falls in love with Neytiri (Zoë Saldana, who played Uhura in this summer’s Star Trek). Cameron is a master at world-building. Part of the reason the running time is so long is because he is willing to devote time to exploring Na’vi culture. Jake’s assimilation is not covered in a quick montage; he spends months there, and we explore the planet right alongside him as he becomes immersed in Na’vi spiritual culture. Cameron understands that it is important to like the Na’vi if we are going to root for them. And you will cheer for them. One of the best parts of being an entertainment writer is getting to meet the entertainers when they are just being people. 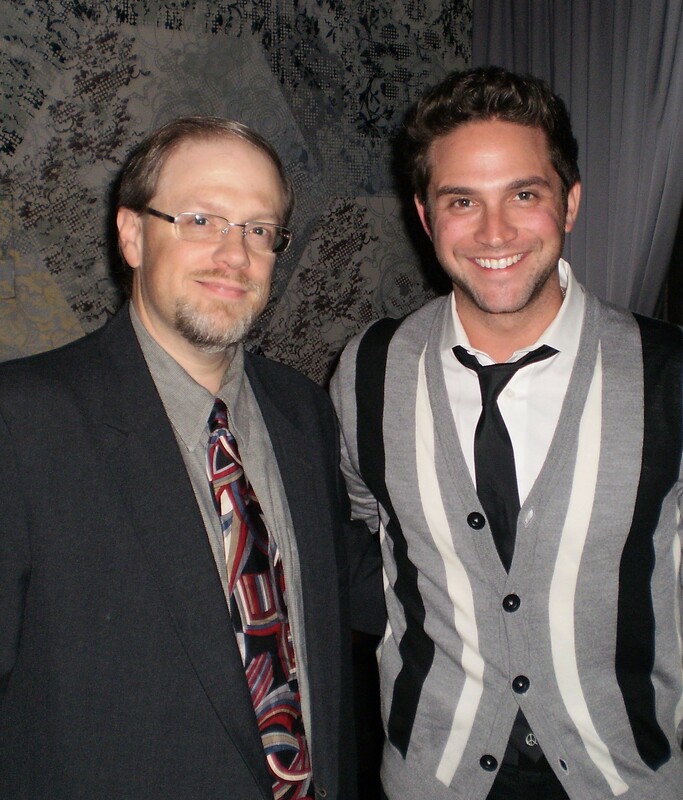 In this case, I had an opportunity to meet Brandon Barash, who plays Johnny Zacchara on GENERAL HOSPITAL. He helps GH sell the soap, but this was a more personal encounter. Soap Opera Digest‘s Vera Hadzi-Antich and I were invited to a special dinner honoring Barash’s appointment as the national celebrity ambassador for the Muscular Dystrophy Association. Even better, the dinner was held at Levant East, a splendid restaurant in the Hotel Rivington, on the trendy Lower East Side of Manhattan. In addition to a great meal in a hip nightspot (the food really was terrific! ), I got to just hang with Barash, who is very open and approachable. In fact, the real Brandon reminded me of the way Johnny is when he is with Olivia – easy-going and fun. The real guy is not an angry young man at all. Before the event got under way, Brandon did a couple of interviews, and was wandering the room like anyone else when I approached him. Dressed neatly but casually in a sweater and loose tie, Brandon was quick with a handshake and happy to make small talk about being on the East Coast. When I suggested that we get our “work stuff” – the official WEEKLY interview – out of the way before dinner, he instantly clicked into business mode. He was still his gregarious self, but focused on the pretend world of Johnny, Olivia, Sonny and GH. Vera interviewed him first, on video for the SOAP OPERA WEEKLY/Soap Opera Digest Web site (See that here) while I held the light for the camera. Then Brandon sat for me. He had to address a lot of the same questions, but I tried to frame the queries a bit differently, and his responses covered the same ground, but without repeating a lot of the same phrasing. That’s a skill, folks. You should think about how many times the stars have to answer basically the same questions over and over; it can be quite a struggle to keep things interesting. With such a lively subject, our conversation quickly took on a life of its own, and I got some really interesting insights, which you will see in an upcoming issue of WEEKLY. After we finished the interview, Brandon posed so I could shoot a number of digital photos for the magazine, our Web site, and the e-mail newsletter. Then Vera snapped the image that accompanies this piece.